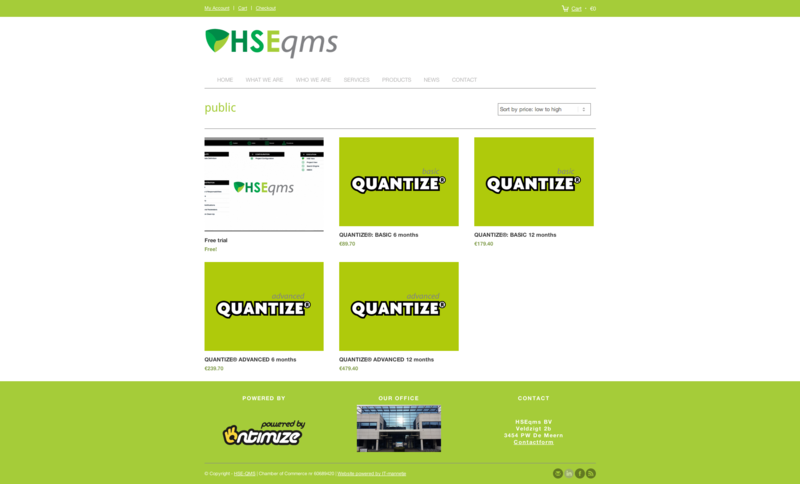 Responsive E-Commerce Website gebouwd in WordPress. 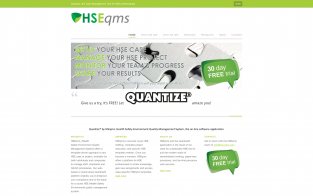 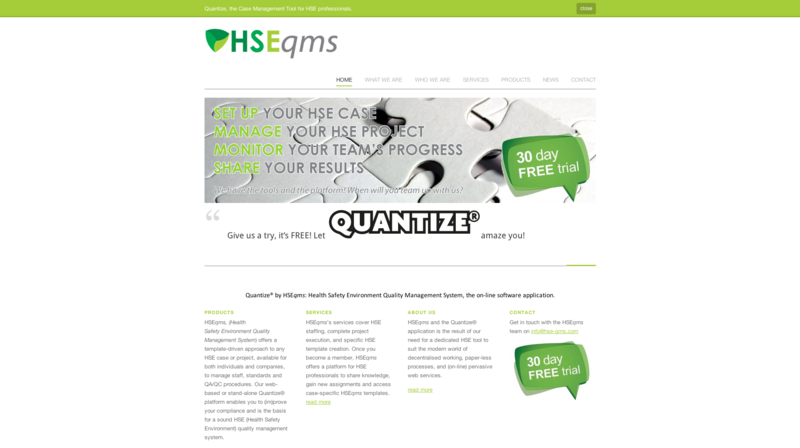 Quantize®, our web-based platform offers a systematic approach to many day to day HSE challenges, based on either templates created by you using Quantize® or our existing suite of online templates. 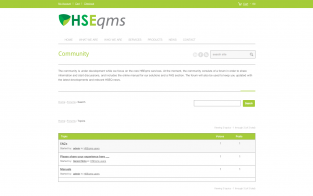 Rather than relying on time-consuming and inaccurate paper-based tools, HSEqms enables you to create your own templates and forms for any HSE case, scenario or project and across any regulatory jurisdiction.